Each year Reflo works to support and catalyze community green infrastructure projects that harvest stormwater for urban agriculture or other uses. This has resulted in the community construction of large, underground cisterns serving the city’s burgeoning urban farming scene. Projects encompass environmental, economic, social, and artistic benefits. 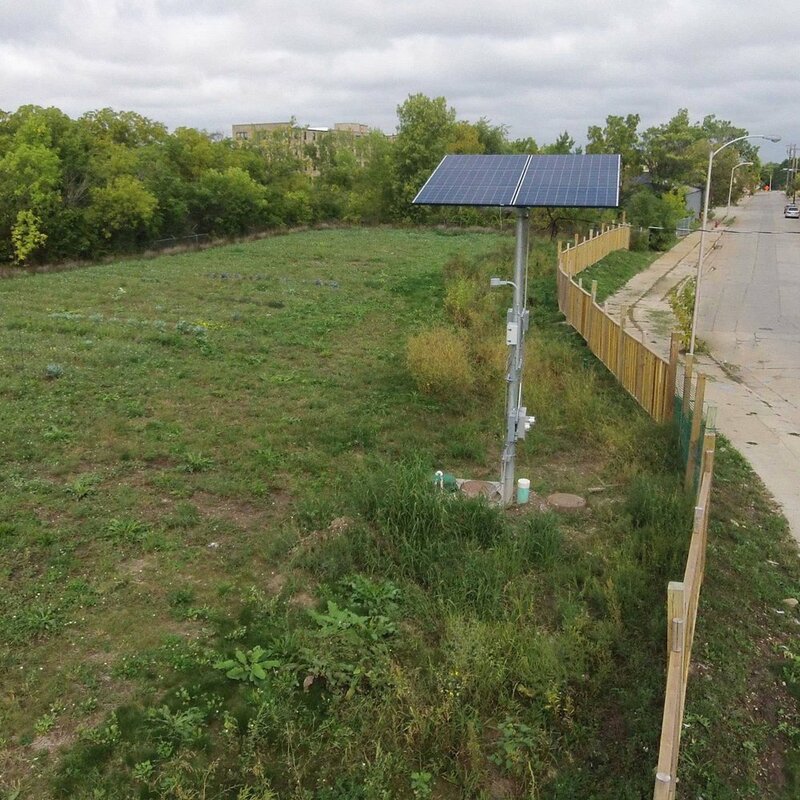 Reflo was also instrumental in pioneering new codes and ordinances to allow for free-standing rainwater harvesting structures to support urban agriculture in the City of Milwaukee. In 2018, 150+ volunteers built a 20,000-gallon cistern in two hours. The cistern collects water from the Brown Street Academy playground via a bioswale and in 2019 will be drawn via solar-powered pump to irrigate community plots at Alice’s Garden. Reflo worked with myriad partners to support the design and construction of a 40,000-gallon underground cistern at Cream City Farms in the middle of Milwaukee. Stormwater is filtered in bioswales and pumped via solar pump to irrigate vegetable row crops. Reflo supported the MANDI-award-winning project to create a standalone pavilion to collect rainwater for irrigating raised bed gardens maintained by residents at Milwaukee’s Guest House men’s homeless shelter.